George Orwell, �Why I write� p. 394 Firstly, George Orwell was definitely a democratic socialist. He stated this consistently throughout his life � from the mid-1920s to his death in 1950.... Why I Write Natasha Trethewey (bio) Much of what I have to tell you is anecdotal, rooted in a personal meditation, but throughout I have tried to tease out the implications of my own experience. 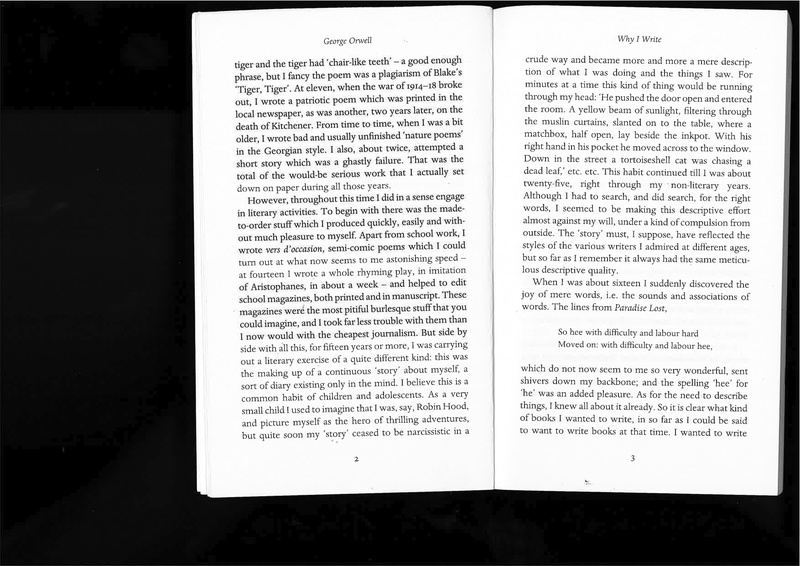 George Orwell Why I Write, 1946 [L.m./F.s. : 2015-09-24 / 0.16 KiB] �From a very early age, perhaps the age of five or six, I knew that when I grew up I should be a writer. 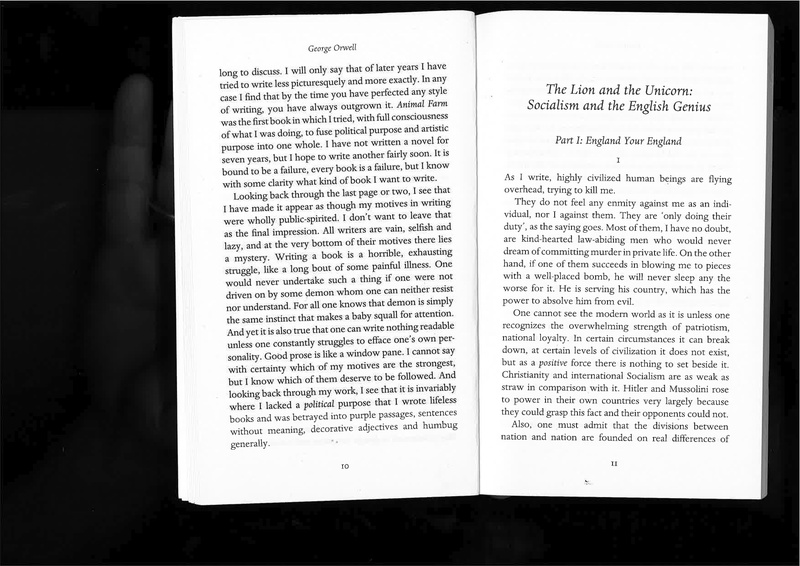 George Orwell, �Why I write� p. 394 Firstly, George Orwell was definitely a democratic socialist. He stated this consistently throughout his life � from the mid-1920s to his death in 1950.